Hugo San Martin was born in Bolivia. He is a lawyer, with a Master’s degree in Strategic Studies and International Security from the University of Granada (Spain) and another Master’s Degree in Political Science from the Latin American Faculty of Social Sciences (Costa Rica). In his country he has occupied the functions of Minister of Government, Minister of Labor and Deputy. He is the author of numerous articles and several books. As a lecturer on issues of Security, Governance, Prospective and Populism, he has been invited to different universities in Latin America and academic centers in the US and Spain. 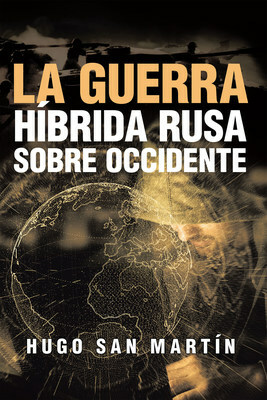 Hugo San Martin offers an explanation of the conceptual debates and analyzes in detail concrete situations, such as: The Trump Election in the USA; the independence of Catalonia in Spain; the defeat of Matteo Renzi in Italy; cyber-espionage in Germany and economic support for the National Front of Marine Le Pen in France. For readers who wish to venture into this intriguing and controversial topic, they can do so, through reading this wonderful book, and can purchase “The Russian Hybrid War Over the West” at any book store, or online stores and Apple iTunes, Amazon, Google Play or Barnes and Noble.